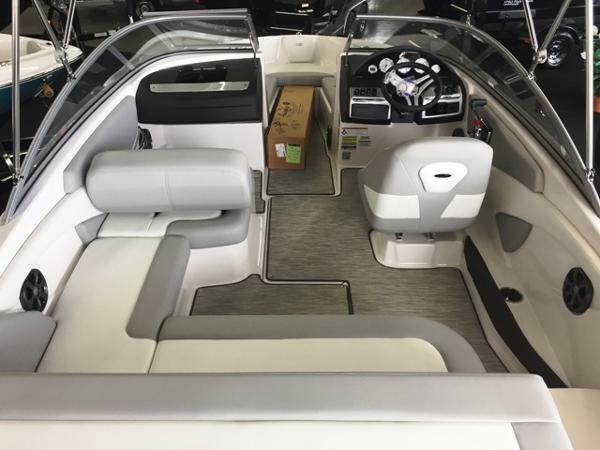 2019 Regal 1900 ES, BASE PRICE STARTING AT $28,580 This boat is equipped with a custom Phoenix trailer, swing tongue,LED Lights, disc brakes, Spare Tire, hull color,Bottom Color, travel/storage cover, seagrass mat, freight and prep. Color: Black/White. Titanium interior.